Regular punters end up on hold but Google gets to set its own tax rate. No wonder the public are losing faith in HMRC. Created by the controversial union of Customs and Excise with the Inland Revenue in 2005, its formation was driven by the same desires that attend many corporate marriages – to simplify processes, boost productivity and, of course, save pots of cash. But just as two-thirds of private sector mergers fail, HMRC was plagued with problems from the start. In 2007, the details of every child benefit recipient in the UK were lost. 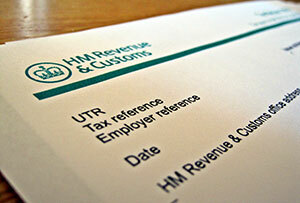 In 2010, IT problems led to £160m of PAYE being written off. In 2011, it was investigated by MPs, who accused it of being soft on tax avoidance. All of which looks like a storm in a teacup as HMRC faces up to what could be a sink or swim year in 2016. Sweetheart deals with the super rich and now Google’s £130m ‘donation’ have dealt public faith in the UK’s tax collectors a potentially fatal blow. Thanks to a decade in which 40% of HMRC jobs have been cut while levels of (legal) tax avoidance have rocketed, morale is at a record low and it has a burgeoning ‘gamekeeper turned poacher’ problem to boot. Meanwhile, important digital improvements – online filing, for all its problems, is a huge step forward – count for little when it takes callers an average of 38 minutes to get through on the helpline. Career civil servant Lin Homer is the current chief exec – as former head of the much maligned UK Border Agency she ought to be used to a bumpy ride. She is standing down in April and her successor needs to be a big beast. Bookies William Hill has former chair of the Public Accounts Committee Margaret Hodge at 7/1. The byzantine UK tax code, at 17,000 pages the longest in the world (Hong Kong gets by very nicely on a mere 276 pages). It’s not fit for purpose – you can’t expect to simplify tax collection when the rules governing those taxes just keep getting more complicated. How would the abolition of the Human Rights Act affect employees?